This weekend we took the girls for a very magical Christmas treat to see Disney on Ice, 100 Years of Magic at the O2 arena in London. When Lara and Holly realised where we were taking them a great big smile broke out across their faces - Disney on Ice has now become a bit of a family tradition and we all love it, not just the girls. The 100 years of magic show celebrates 100 years of Disney classic movies and features lots of favourite Disney characters. From Aladdin & Pinocchio to Nemo & Mulan. From Toy Story to Beauty and the Beast. The show features loads of different family favourites so it has a wide appeal for adults and children and it was great to see a bit of excitement to balance the princess-factor! As we have come to expect from Disney on Ice events, the souvenirs and food on offer are all very pricey but we did notice that the prices had dropped a little this year (and we came well prepared with our own snacks and drinks). If you are planning a family visit and want to make it into a really magical affair then there is the opportunity to buy Disney princess dolls, plush toys, glow in the dark accessories and clothing featuring your favourite Disney characters. The show features skaters performing beautiful routines and some cleverly choreographed group dances. 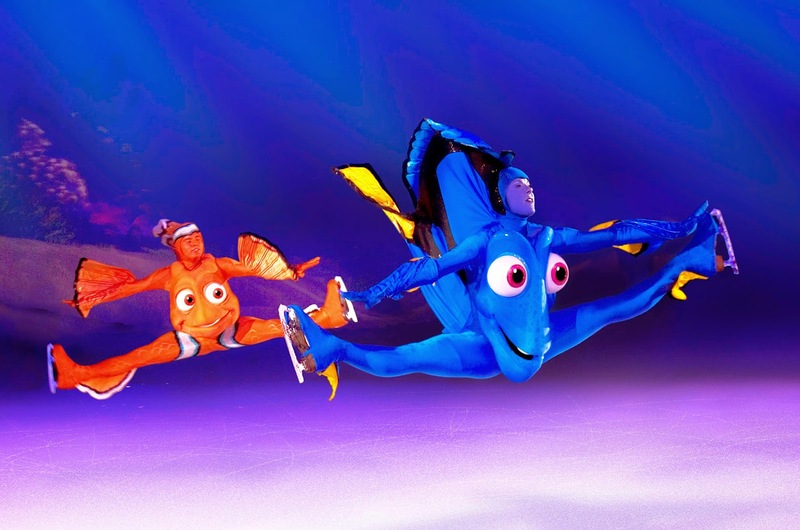 The costumes of the non-human characters such as Nemo and Dory from Finding Nemo are all stunning. I loved watching Pinnocchio and Gepetto being eaten by the whale (though I'm not sure Holly would agree). Lara most enjoyed watching Belle and the Beast which was certainly one of the most romantic and traditional ice skating routines in the show. Holly most enjoyed watching Woody, Buzz and Jessie perform a Toy Story dance. The middle part of the show featured a beautiful number set to "It's a small world after all" which may have been a bit lost on anybody who has never visited a Disney park but the dance included stylized costumes from all over the world - the blue and white outfits were all beautiful and we loved the sparkly Christmassy lights which reminded me of the traditional Disney parades I'd expect to see at a Disney park. 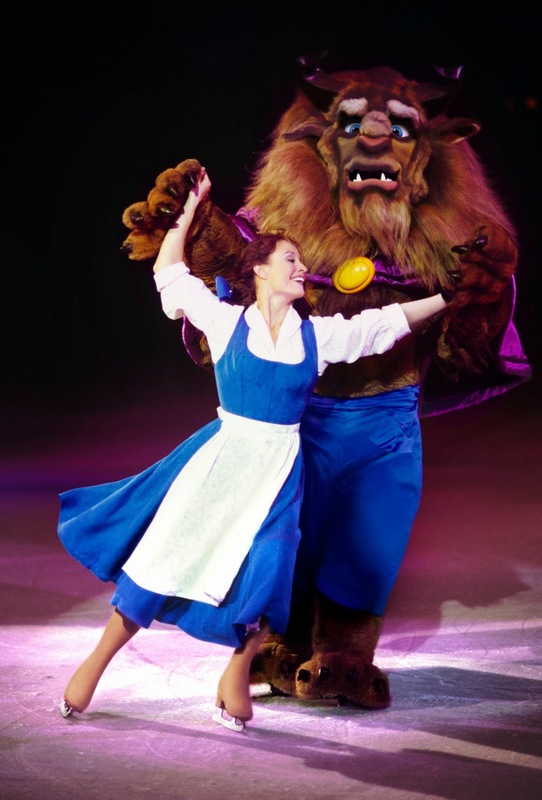 The exciting news is that this spring, the starts from Frozen will come to Disney on Ice. 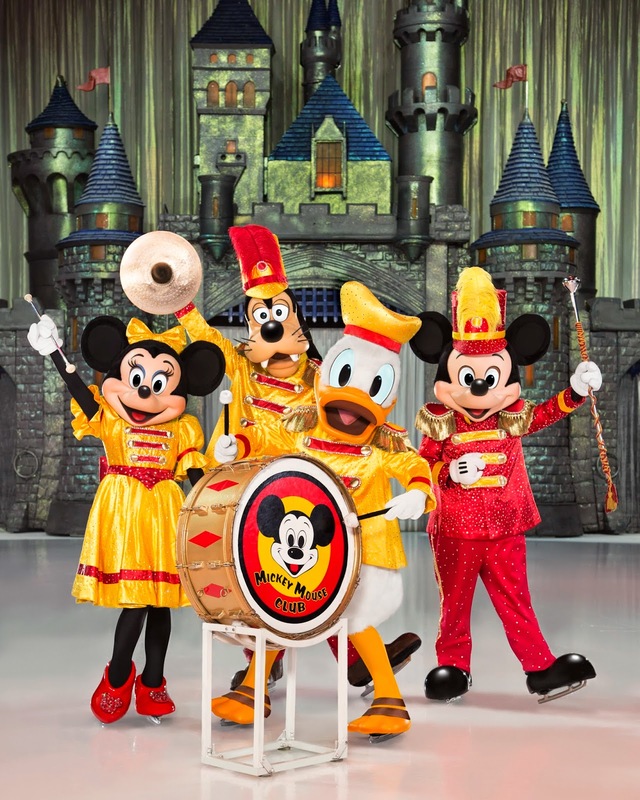 From the 11th of March to the 17th May, Disney on Ice Magical Ice Festival will be touring the country from Aberdeen all the day down to London. Tickets are on sale now. Disclosure: We were sent the tickets for the show so that we could conduct a review.